Before they achieved success, famous guitarists, Eddie Van Halen and Carlos Santana, both used to play through the walls of super powerful amplifiers at the sold-out shows. They were just as normal human beings as anyone else is who used to spend nights practicing their skills in their bedrooms with the help of practice guitar amps. Even if you cannot afford to go for the expensive amps of all time, it doesn’t mean that you have to settle for the substandard tones. There are thousands of affordable guitar amplifiers available in the market where you can get the best amplifiers for any budget you own. When you decide on creating a band, all you need to worry about are the instruments and how you need to execute not only the best sound but also a unique sound as well. The tube guitar amplifiers are the most popular amplifiers as they are capable of increasing the sound that your instruments are generating but they also help you modify the tone. If you own a guitar, you don’t have to go out and buy a big collection of new guitars to set up a band. All you need are the guitar amps that can help you create some new and most amazing sound effects. This can surely be done as you play or use the extensive programming depending upon the amplifier type you have. In the world of guitar amps, the best selling amp models gain much attention and their reputations because of a variety of reasons such as the great sound of the tone, reliable performance, decent onboard effects, portability, or simply solid outcome. This is a fact for all the high-end models as well as the budget-friendly guitar amps that set you back in just a couple of dollars. If you are searching for the budget amps under $500, you will be surprised at what you can actually get for this kind of budget. There are numerous types of amplifiers that come in this range that the guitar players depend on their day-to-day practice, small gigs, and even jamming. Here is a list of 10 best guitar amps under $300 and under $500 that you can choose from while budget purchasing. The Spider V 60 is equipped with specific features of a bi-amp, full-range loudspeakers system with a 10-inch custom-designed driver and a separate tweeter that will make sure that everything is safe. There are about 200 high-quality amplifiers, cab models and effects with about 100 presets to enjoy with a built-in tuner, and 19 real drum loops to jam along with. This guitar amp model is an absolute triumph. There are Android and iOS apps and a receiver as well for Line 6’s Relay wireless transmitter. This is one of the best guitar amps that you can purchase under $500. Peavey is the company that is responsible for some of the best tones that you can get in modern metal. They also have awesome options for blues and rock. Their TransTube technology is on top of the list of best tube-emulating circuitry. The original line-up of the Vypyr series uses the TransTube circuitry along with a wide range of very useful whistles and bells. The Vypyr VIP series features amazing tone-shaping options with an interesting twist. The Vypyr guitar amps are the good choice for players who are into rock, hard rock, and all the forms of metal. The Marshall MG series of guitar amps have been in the market for a long time and this particular guitar amp model is used by a wide range of guitarists across the world. These guitar amps are reliable, sound great when played and are capable of capturing the legendary Marshall sound. 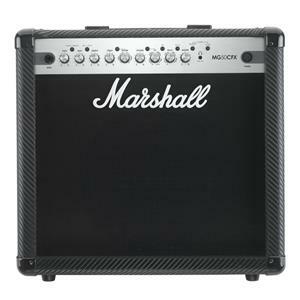 Marshall has improved the MG series to the point where the larger models are the viable option for the gigging situations. 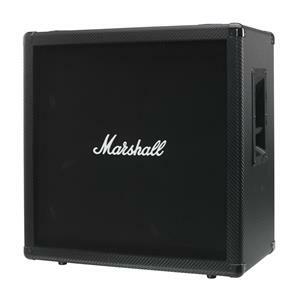 It is a cab designed to complement the rock look of Marshall’s carbon fiber series. The portable guitar amp has enforced features such as recessed side bar handles, reinforced corners, and is covered in a material that resembles Carbon Fiber. 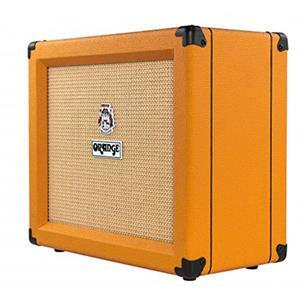 The orange crush has long been a force of action in the world of amplification, drawing a line of tube heads and the combos that show up in the backlines of some of the biggest of rock’s guitarists. 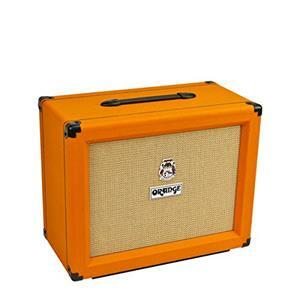 The bold solid-state orange amplifiers Crush delivers amazing performance in the cost-effective model price. The 10” voice of the world speaker drives to serious levels with the power of 35-watt. You need to practice with headphones and cabSim technology that provides 4×12 realistic cabinet tones. With two channels, 3-band EQ plus, a buffered effects loop gain popularity altogether. It has the ability to get you into overdriven sounds that combine to make the model more than just a regular practice amp. With thousands of sounds and the capability to link hands with your smart device for home recording, Roland pleases its buyers in an effective way. The Roland Cube sits on the top position with only the gig-ready 80w80GX above it. 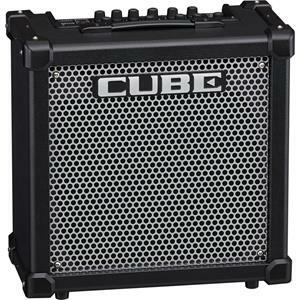 Acquiring the latest industrial black livery with silver perforated grille, this model looks like a cube amp. Fender is another big name when you think about the best budget guitars in the world. Most of the people associate Fender with crystal-clear and smooth sounds. Their guitar amps are known as blues, milder forms of rock, and Jazz. The Fender Company has stepped it a little up in these recent years with some really great options of affordable amps that run the gambit across each and every music style that is known in the field of music. 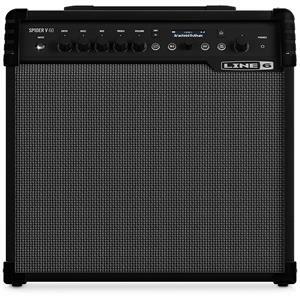 The Mustang IV is a 2×12, 150-watt combo with more than enough power for any band or a gigging situation with plenty of versatility and flexibility. You will experience amazing emulation of classic Fenders, brilliant effects options and with 150 Watt power and plenty of headroom. You also get a USB port available that you can connect to the computer with the Fender software. The Spider Jam is one of the most compact guitar amps listed in this article which as a 75-Watt combo equipped with a 12-inch of Celestion custom made speaker along with a two-inch full range tweeter for the backing tracks. Like the other Spider III series, this particular guitar amp model is also the one that is selected by a front panel rotator knob. There are green and red versions of Clean, Twang, Crunch, Metal, Blues, and Insane models that are all based on famous names. The front panel offers the usual array of the amp that controls and there are three knobs to add effects. If you don’t fancy in dialling in your own sounds from the scratch there are a bunch of onboard presets over 200 of which are created by artists alongside 150 that are based on songs and 36 of them are user programmable patches. There is no doubt in believing that this guitar amp model is a killer product. It is one such product that you can purchase for practicing with sustained usage. It is a perfect model for gigging and would take a very long time for any user to tire of its offerings. The respective model from Marshal is compact and ideal for practice sessions or more intimate performances. The carbon fiber is packed with a 12” speaker of the same color and 50-watt power amp with some digital effects. Four channels with storage patch locations provide you super classy tone shifts along with footswitch. It weighs less than 17 pounds and goes easy on your back as well as your wallet. It has features such as effects loop, MP3 line in, and emulated speaker headphone output that is worth the money paid. This incredible selection of channels and FX are switchable using the revolutionary foot switching technology. The entire world of guitar is flooded with cabinets, ranging from plethoras of manufacturers, speaker layouts, tons of speakers, shell wood, and several other factors that influence the purchase of a guitar cabinet. Globally well-known among the guitar players is the Celestion Vintage 30 which is the most rusted and reliable and popular speakers for guitar cabinets. One of the topmost sellers among the sole cabinets with speaker stock is the orange’s PPC series. The cabinet has the classic look with an orange color with orange tinted plywood sides and a covered Tolex front with the signature orange crest. The Tolex used in this is quite durable with solid sides. The cabinet is straight and it works in mono and can be conveniently chained with the other cabinets as well. The PPC is a perfect companion to any orange head equipped with a tight bass response and a low end. The cabinet looks great and sounds amazing along with being perfectly portable. The sound generated is quite thick and full that is surprising considering a cabinet. The PPC weighs 32 lbs and is very light as compared to that of Fender or Marshall Guitar Amps. 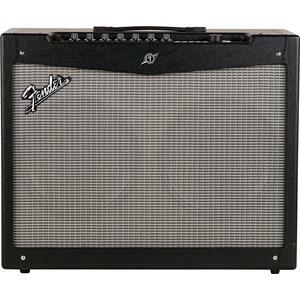 It has loud, solid, and reliable head through it is plenty loud to practice and gig in small locations. If you have spent money on a good deal on your electric guitar, a cheap and reliable acoustic amp is probably the best option that you can afford at the moment without burning your pockets out. Why you need to go for costly guitar if you can afford much better within a reasonable price. The acoustic guitar amps are more so over than the electrics and should be transparent enough to feed through the entire character of your instrument and avail volume for various high-class live shows and large gatherings. They should also include the characteristics of useful performances such as additional inputs of microphone. Either you are looking for a jam out time alone in your bedroom or play some chords at a party or you want to amplify your strumming for the particular band practice, it is important for you to have a guitar amp in the mix that is both affordable as well as reliable at the same time. It will not work to its extreme if you don’t use a good amplifier to play your music. There are really decent amps out there in the market and some of them are listed above that top the list of best guitar amps under $500 or even under $300. It is recommended to loosen up a little bit as this is pretty clear that investing on an amplifier is a big thing and that will last for years, if maintained well. Being a music lover you need to find out the best guitar and that should be come with your budget. Don’t go for cheap guitar, that might affect your performance and even at time of performance it won’t work. So be careful while you choose your guitar. The more expensive the amp is the more you need to take care while using it. There are two types of amp hook-ups that you can choose from while selecting the best guitar amp – one being the amplifier head that amplifies the guitar but it does not have a built-in speaker. You will also need a good cabinet in this case to generate the sound that will act as a speaker. A combo amp has both the head and the speaker to give you an entire combo package at a fair price. 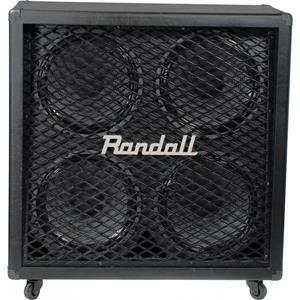 There are also some smaller sized guitar amps available that are excellent for the purpose of traveling. Their weights are comparatively lower and are smaller in size, but show effective performance. 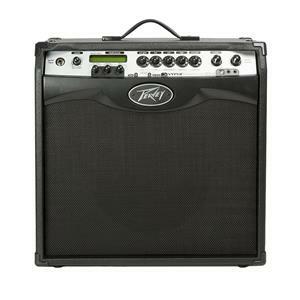 This guide of purchasing the best guitar amp will guide you to purchase a good guitar amp at an inexpensive price. 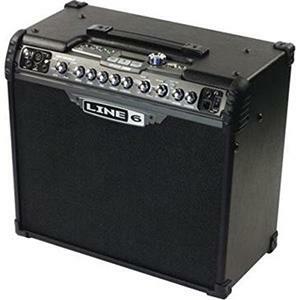 Things you need to look for while purchasing a reasonable price electric guitar amp are the power rating, the speaker’s size, the amp modelling or channels, built-in effects, solid state or tube, and direct recording, tuning and other related features. The actual rating of the amplifiers will provide fair enough idea of how the load the amplifier can actually sound. If you will be only using the amplifier for practice, going for amps like the 200-Watt combos will likely to suit your choice. Louder and all the more capable amps then again are somewhat more costly yet they have adequate power for performing in little to medium estimated zones. The distinction will by and large be unobtrusive for a fledgling’s ear while considering the speaker’s size yet as a rule, the greater the speaker the better the sound. When you discuss amp displaying or channels, the majority of the guitar enhancers in the sub $500 value go are stuffed with different models of intensifiers that let you switch between the assortments of sounds. The more the enhancer models, the more the tone alternatives you can choose from that can be great in the event that you lean toward profound tone customization, or awful on the off chance that you simply need less tweaking and would prefer not to be occupied by chasing the tone. The direct recording and tuning, the USB connectivity is now the standard basic thing to the amps, even in the price ranges under $500. If you want the best reliable and work efficient guitar amps for beginners or for the purpose of practice, you need to look for the best guitar amps in the range of $500 listed in this article.